See Kai Run, a funky range of shoes for pre and new walkers, is specifically made for the developing foot. 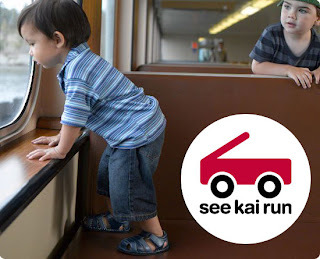 See Kai Run shoes are hand-crafted from supple sheepskin with padded collars and a breathable leather lining. Soles are constructed from extremely flexible rubber, allowing new walkers lots of freedom to move while protecting their feet on all kinds of terrain. To top it off, See Kai Run shoes are easy to get on and off with velcro closures that ensure great fit! These hip shoes will be available at our online boutique soon. Keep a look out for updates of their arrival in Lollipops Days!